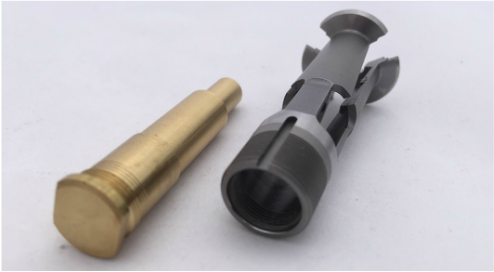 No other product on the market can “overgrip” as much as the Microconic W-type over-grip collet with the Masa Cartridge. 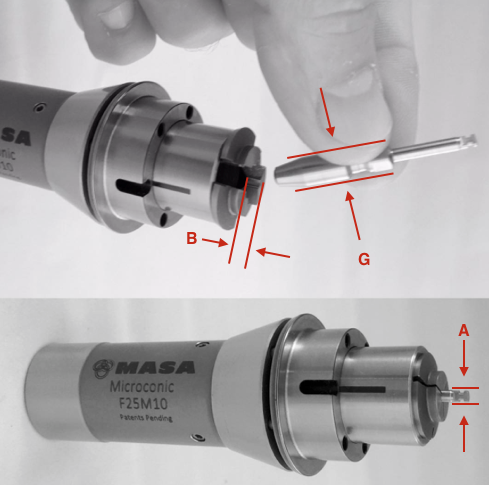 The Microconic W-type over-grip collets can open up to 4mm over the chucking diameter and run within 5 µm/.0002" TIR. The are currently available in the UM10 size. 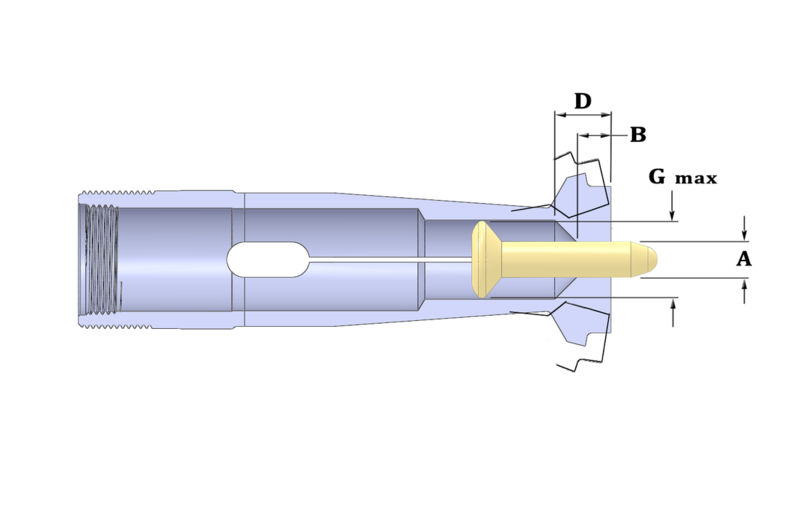 Over-grip collets, also referred to as over-the-shoulder collets, are used in a pick-off /sub-spindle when it is required to clear a shoulder and grip on a smaller diameter beyond the larger diameter. The Drill blank pictured at the left is a good example of this kind part. Be sure to take a look at our "T-type" over-grip collets, which have a longer gripping surface than our original W-type depicted here. 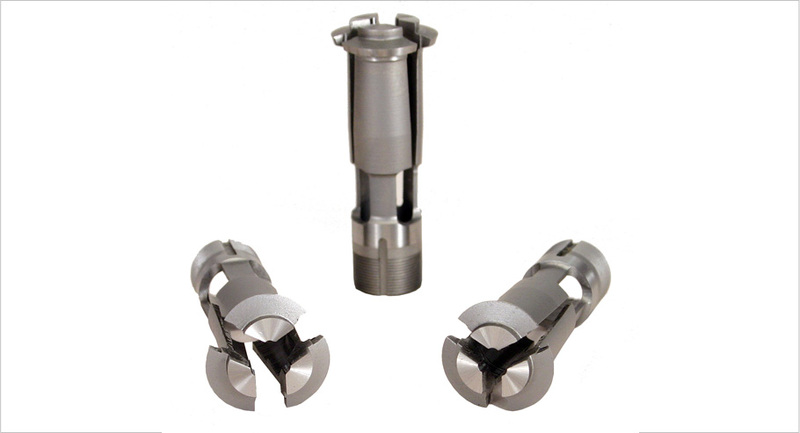 The "T-Type" is designed specifically for applications that require holding longer length parts. Download dimensions chart for all over-grip sizes here.